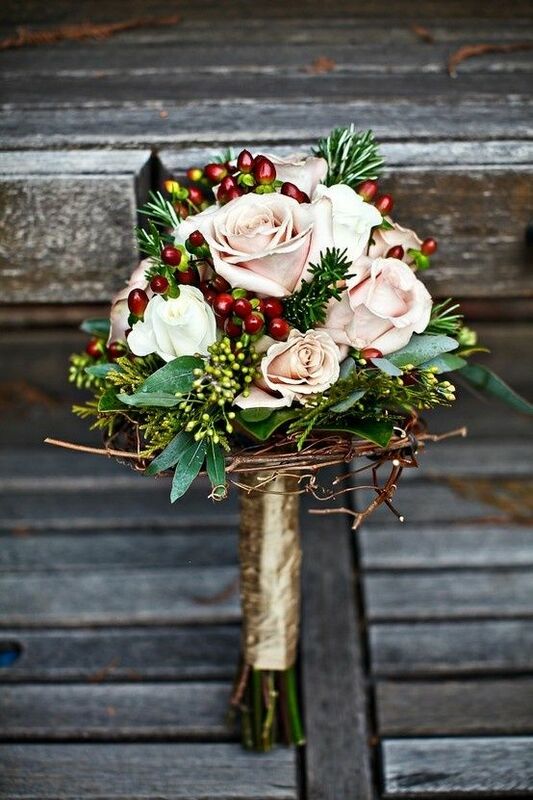 Personally, this cranberry and fuchsia filled bouquet is one of the most stunning on the list and we love its Christmastime vibe. Are you planning to renew your vows this Christmas? 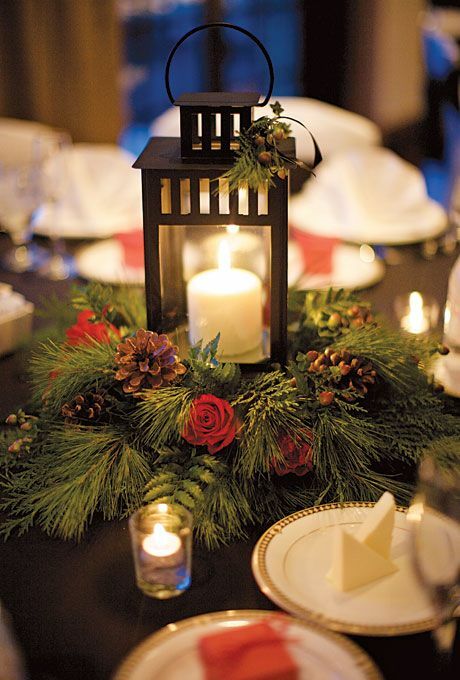 If so, make sure to decorate the celebration with festivity and that includes in your floral choices. 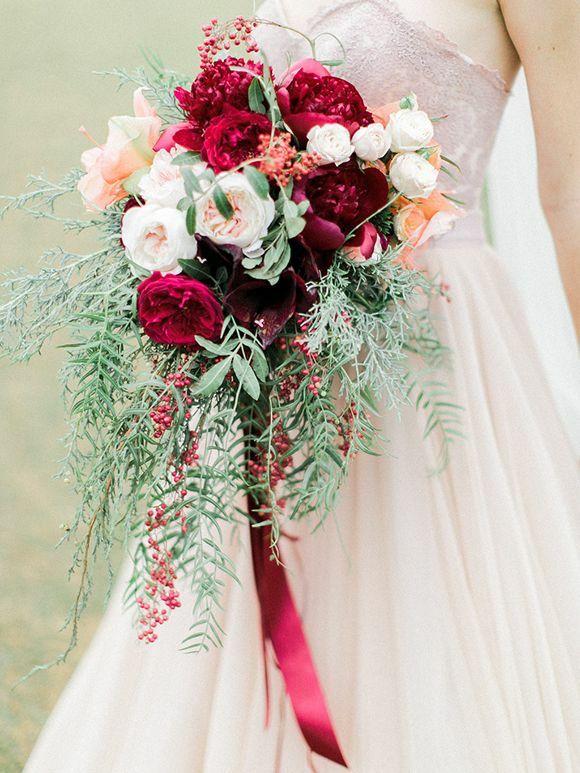 Check out these stunning ideas when it comes to the flowers sprinkled around the event! 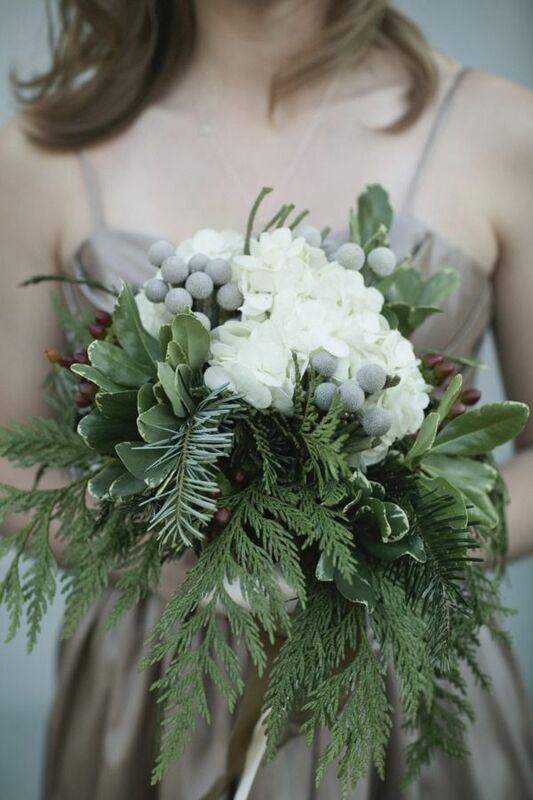 Striking bouquets full of texture, greenery and cranberry tones speak of the season with ease. 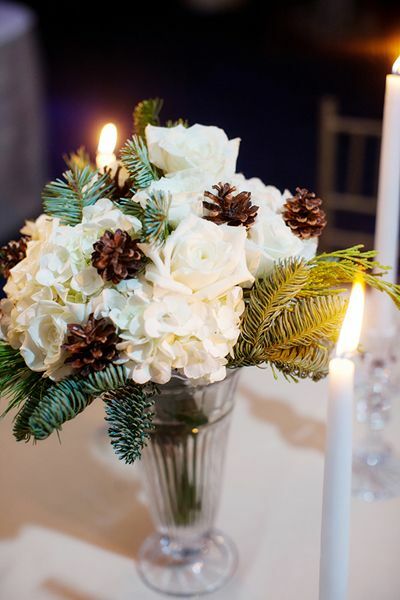 Vases filled with those same textures and natural elements also help to evoke the spirit of winter beauty. Lanterns with a bit of greenery and roses will also help to transform the celebration space into something close to the season's style. 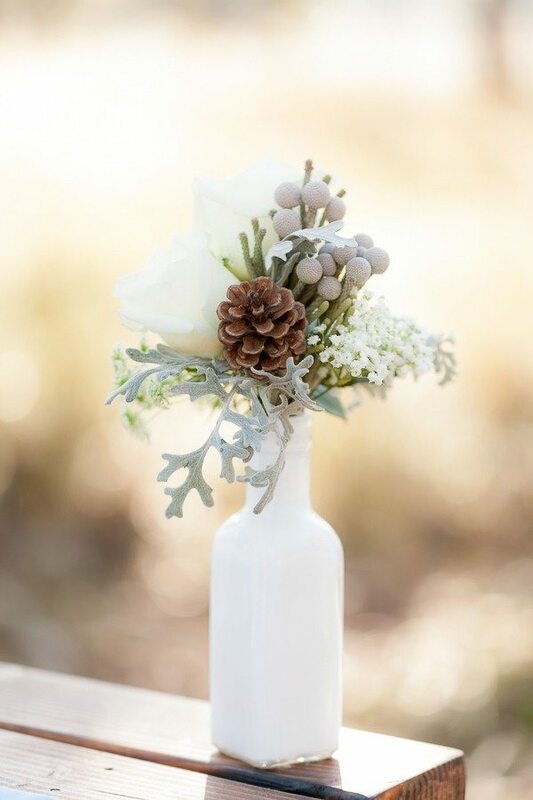 Of course you can go a bit more wintery with the adition of some dusty miller. 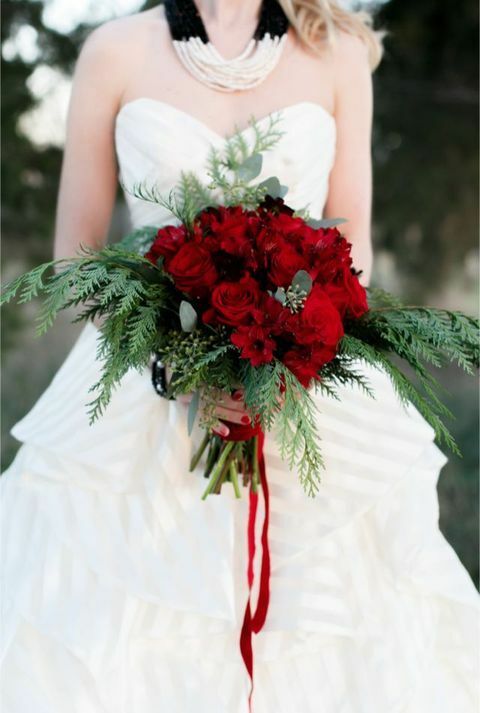 Here's another great example of the bold drama that a red-filled bouquet can bring. 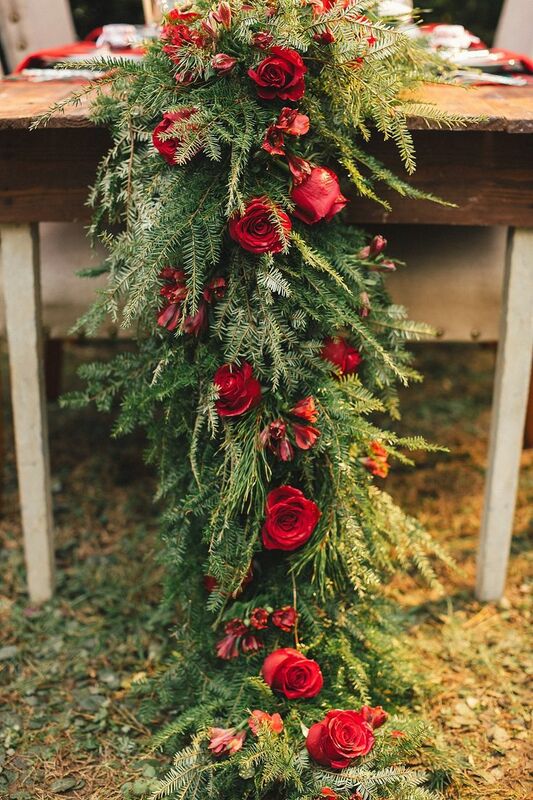 Even the tables can be covered in garland fit for both a wedding and Christmas too. 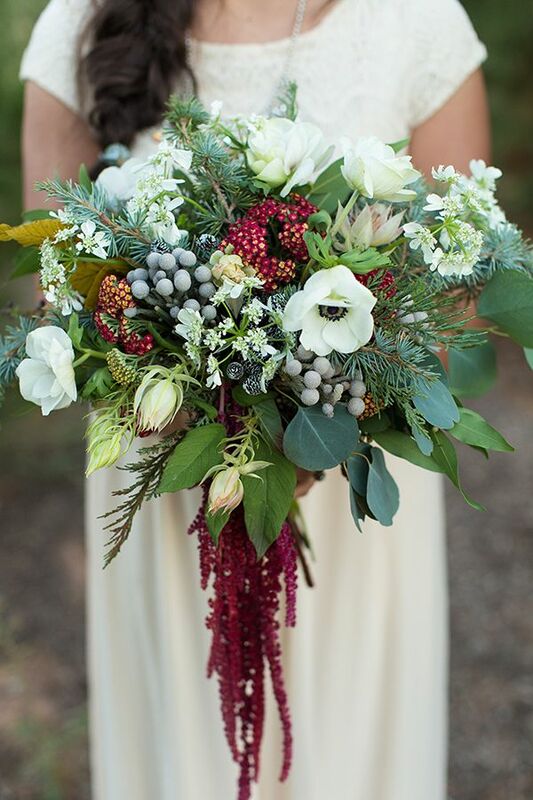 Now we have another "frozen" like bouquet that we find to be quite the romantic addition. 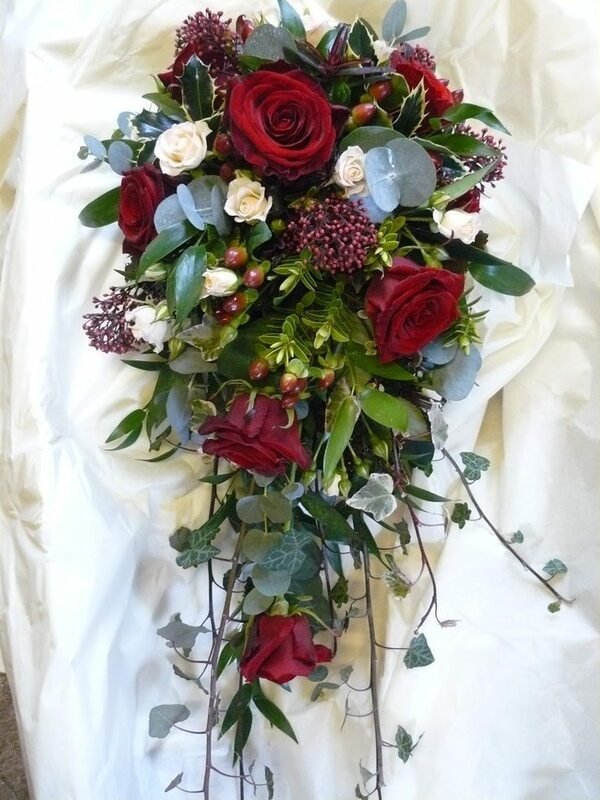 And here's a gorgeous mix of both winter blues and Christmas cranberry, making for a gorgeous complimentary design. I love a bride that dawns a bit of blush, even with the addition of some cranberries to dress for the "most wonderful time of the year!" Swoon for these sweet and unique Emily Riggs wedding gowns that we’ve fallen completely in love with. Color, charm and innocence, these bridal styles are perfect!